The Secret Weapon skulls arrived today. They look great! They're a decent size, well sculpted & cast. I just wish some of them had lower jaws. But I think I will still have plenty of use for them. 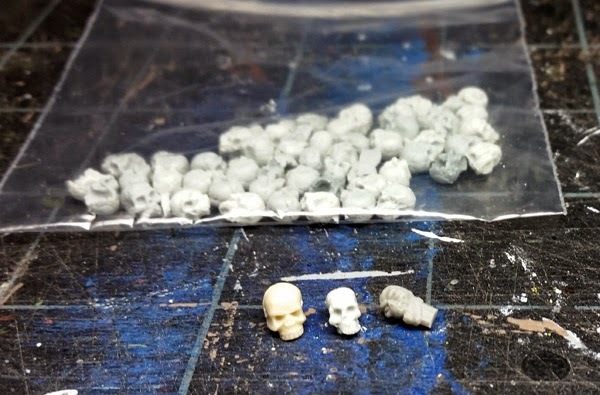 Here's a pic next to an old, huge GW skull, and one of the Warmachine Bane Thrall skulls (has a peg on the bottom.) I think these will work as perfect replacements for the Bane Thralls! That ought to be a big improvement!